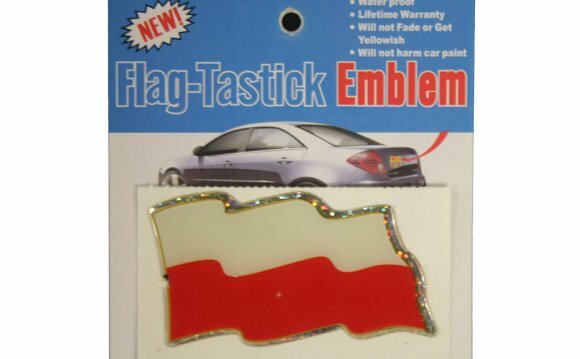 Poland's national colors are white and red. On the flag these assume the form of two horizontal bands of equal width and length, the upper white and the lower, red. The origin of the flag colors goes back to the Piast dynasty and relates to the White Eagle on a red field. However, the concept of the state flag in these colors dates from the 18th and 19th centuries. In earlier times, red and white are found on royal standards and military flags, though not as separate hands. In the 18th century, Polish soldiers began to wear white cockades on their caps. Thus white was the first color which had a specific meaning, it was the sign of the Polish soldier. The civilian population, in sympathy with the army, adopted white cockades during the insurrection of 1830-31. At that time, tricolor cockades (red, white and blue) as well as red and white ones were also worn. This lack of uniformity induced the Sejm to pass a resolution on February 7, 1831, adopting the white and red cockade as official. It was the first legal act by the nation's supreme representatives regulating Poland's colors and making white and red the national colors. After the uprising was suppressed, the red and white cockades were outlawed by the Tsarist authorities, but the colors continued to be used wherever Poles in exile fought for the cause of freedom. On November 11, 1918, a Warsaw University student. heralding the coming independence, raised a big white and red flag on the Radziwiil Palace, then the seat of the German occupational authority, and today, the residence of Poland's President. The following year, the Sejrn of the resurgent Polish state adopted the white and red flag as the official design which remains unchanged to this day.